Welcome to the SWE-GGS website! Check out the events planned for FY19, photos from past events, and subscribe to the mailing list to stay updated! 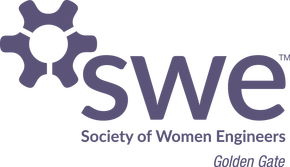 This is a reminder to renew your SWE membership! Whether you appreciate SWE for the SWE Magazine, the job listings on the SWE website, the opportunities provided by the National Conference, or you love the camaraderie of SWE GGS events, please make sure that you continue to receive these benefits by renewing now. A helpful walkthrough on how to renew can be found here. New: Donate to the GGS Scholarship Fund! Over the history of the GGS Scholarship, we've helped countless young women pursuing engineering degrees transition from high school to college. Thank you to everyone who has contributed to this my mission by coming to a T-Shirt Auction or inspiring their companies to get involved! Now you can also help support budding Bay Area engineers by donating online! Click the button below to be directed to our PayPal donation page.